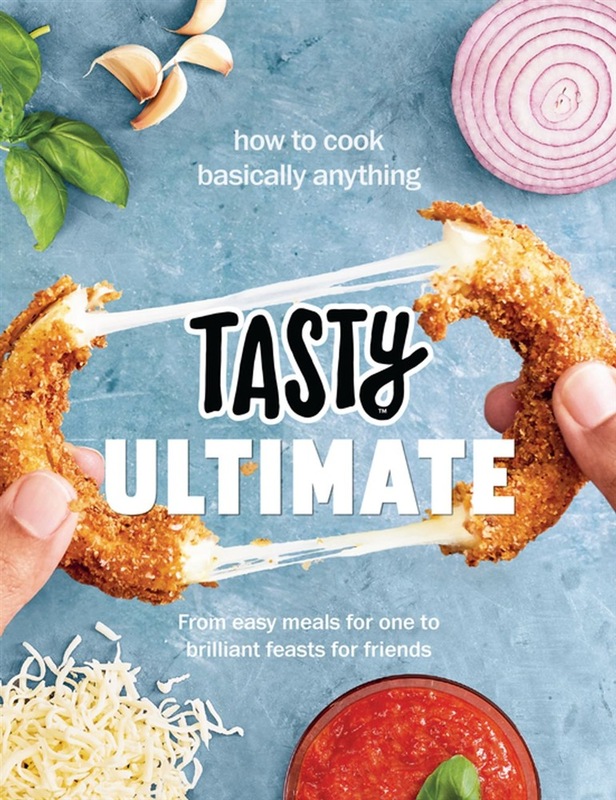 Cook amazing food for every occasion and eating eventuality with Ultimate. This is the cooking bible from the food magicians at Buzzfeed's Tasty. Because this is Tasty, you know you can trust that the 150 recipes in this book are all fun to make, inventive, simple to follow and extremely delicious. Find two sections to choose from: Impress Yourself and Impress Your Friends. Cook both fast and authentic recipes for your favourite classic dishes. Turn to Tasty for inspiration for special occasions like Christmas, birthday, Valentine's, date night, parties... What ever you fancy, you'll find an amazing recipe here. Includes: Garlic Butter Steak, The Best Crispy Chicken Parmesan, Slow-cooked Honey and Spice Lamb Shanks, Sweet and Sour Sunday Brisket, Ultimate Roast Turkey, Scalloped Potatoes, Fancy Party Nachos, Molten Lava Brownies, Perfect Fluffy Pancakes, Easy Brunch Bake, Latte Coffee Cake and so much more. The second official cookbook from Buzzfeed's Tasty. 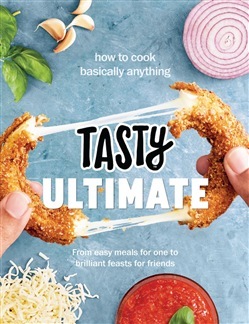 Acquista Tasty Ultimate Cookbook in Epub: dopo aver letto l’ebook Tasty Ultimate Cookbook di Ebury Publishing ti invitiamo a lasciarci una Recensione qui sotto: sarà utile agli utenti che non abbiano ancora letto questo libro e che vogliano avere delle opinioni altrui. L’opinione su di un libro è molto soggettiva e per questo leggere eventuali recensioni negative non ci dovrà frenare dall’acquisto, anzi dovrà spingerci ad acquistare il libro in fretta per poter dire la nostra ed eventualmente smentire quanto commentato da altri, contribuendo ad arricchire più possibile i commenti e dare sempre più spunti di confronto al pubblico online.